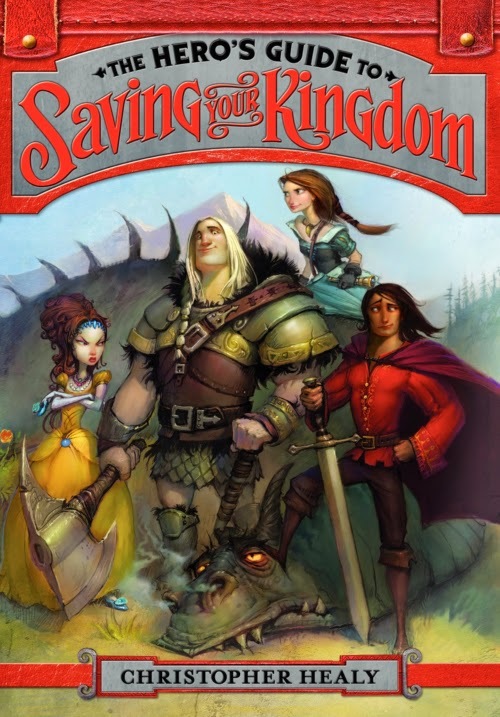 Okay, so I accepted this book for review because it sounded like a cute middle grade book, and we all know I have a weakness for cute middle grade books. Plus, it looked funny, which I love. And then there's that cover, which makes me want to hug it and pinch its too-adorable-for-words cheeks. So I figured it'd be solid. But, like most middle grade books, I was fully expecting it to be Good, but not blow-my-mind GREAT. I wasn't expecting it to keep me up hours after I should have been asleep. I wasn't expecting it to make me delay dinner because I was too absorbed in reading to care about eating. I wasn't expecting to come home and immediately drop everything and go all LEAVE ME ALONE I AM READING. I did kind of expect to not be able to explain to my husband what was going on in the book and actually sound sane. I mean, look at the title. And that little bald fairy doing the "Please sir, may I have some more?" complete with puppy dog eyes. The charm and hilarity of that type of plot aren't the sort of things you can communicate coherently. Let alone the zany things that happened, which I couldn't have possibly predicted and won't even attempt to describe. I couldn't stop laughing and just when I thought an absurdly funny scene couldn't be topped Mary G. Thompson would pull out another (or a drawing!) and I'd be rolling. There was never a dull moment, and while part of this is because the action was steadily brisk (though not breakneck), part of it is due to the fact that I've never read a book quite like this. First off, there's lore. You know I love lore. Especially when it's dolled out in bits and pieces and where each piece is more hilarious and absurd than the last but somehow they all fit together to form a very well developed and totally unique world. Then there's the characters. I was surprised at how attached to them I felt and how invested I was in them (both in their dilemma and their little romance). I even liked the fairies (though they're definitely evil, as I've said ALL ALONG). There's also this whole wish thing that made me spend a ton of hours contemplating what I would pick and if I'd been willing to grow a flock of evil fairies in exchange (I did try to have this conversation with my husband because I love this type of mental exercise, but I think the fairy flock part might have undermined the conversation a little). 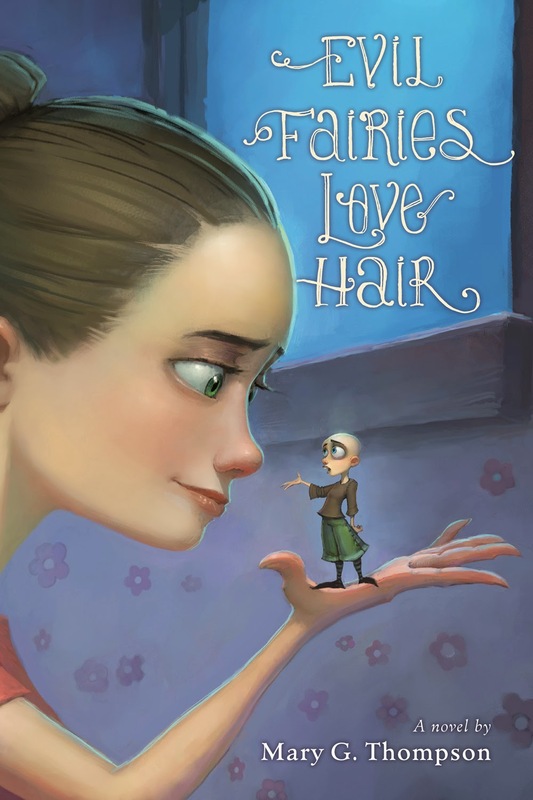 I am shocked at how much I enjoyed Evil Fairies Love Hair. It's definitely making me feel the "must force everyone I know to read this book" urge. I had so much fun with this book. 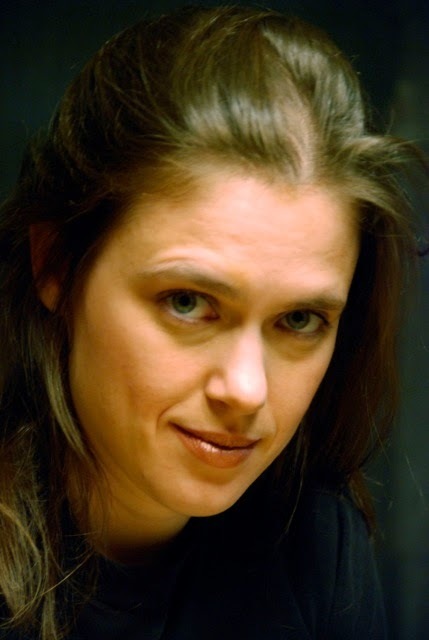 Mary G. Thompson was born and raised in Cottage Grove and Eugene, Oregon. She was a practicing attorney for more than seven years, including almost five years in the U.S. Navy, before she moved to New York City to write full time. This is her third novel. Visit her website at marygthompson.com. Yeah, Blake Henry’s version is a little better than mine! 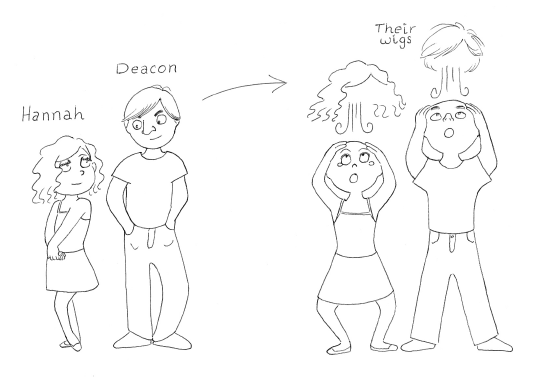 I mean, Hannah and Deacon are not stick figures and have actual bodies! 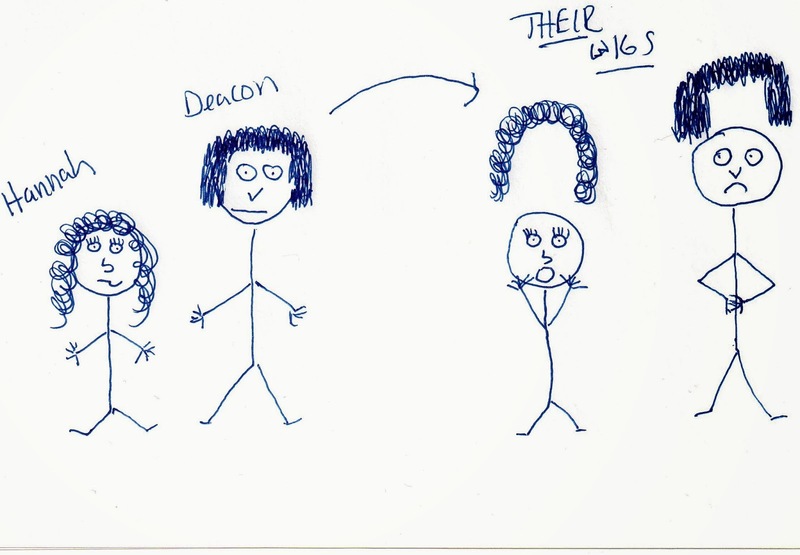 In every instance, the artist was able to capture exactly what I was going for. I’m okay with the fact that art isn’t my biggest strength. I’ll let the professional illustrators do the hard work. I hope readers appreciate it as much as I do! Download the free activity and Reader’s Theatre kit at http://marygthompson.com/Mary_G._Thompson/Main.html! it it completely adorable! The pictures in the book are a great complement too. Hee, fairies ARE evil!! And I'm a bit surprised and impressed that you loved this one so much as well because as cute as it looks (and it does look and sound super cute! ), it just doesn't immediately strike me as WOW GREAT GIMME material. So yeah, I think I ought to add it to my GR tbr now. yes, please do add to your TBR! It's just too zany to describe but definitely worth checking out.